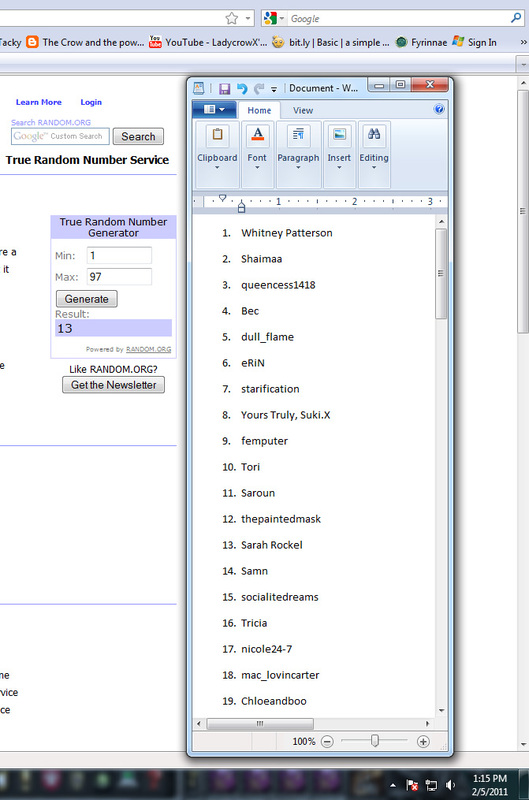 I had 97 valid entries to my holiday giveaway, the winner is: Sarah Rockel! 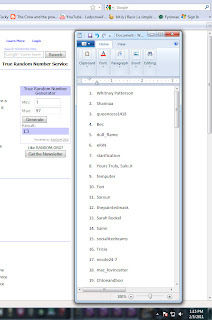 I have sent you an e-mail to the one provided please respond within 48 hours or another winner will be chosen at random. To avoid any issues of being disqualified for having more than one entry please ensure that you post ALL of your info in ONE post. If you think that you entered already but aren't sure don't post again jut ctr+F and type in your first few letters of your name to find your if your post is already there. If you make a mistake or didn't put everything then please delete that comment and start over. AWESOME! I'm so excited! I sent you an email back with my info. TEE HEE! :D Thank you so much!